Mayday Parade fond d’écran. Mayday Parade is probably one of my all time favourite bands, so I thought I'd make a fond d’écran for a computer:). 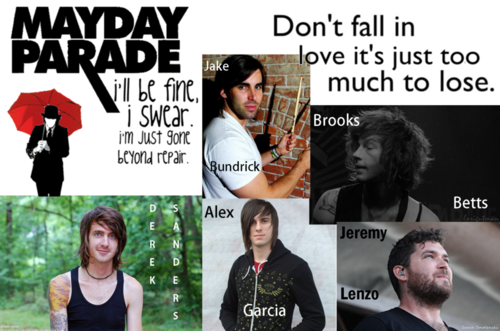 HD Wallpaper and background images in the Mayday Parade club tagged: derek sanders jake bundrick alex garcia brooks betts parade jason lancaster mayday jeremy lenzo. 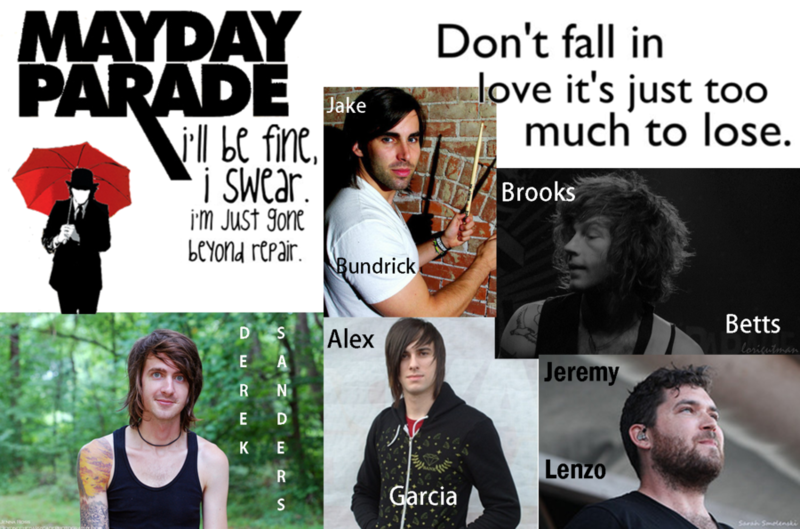 This Mayday Parade photo might contain anime, bande dessinée, manga, and dessin animé.